Hi everyone! I'm Marie. *waves* I thought I'd start off the month by using A for an About Me entry for those of you who haven't been here before. I started Ramblings of a Daydreamer in October 2010, but didn't get serious about blogging until last April when I did the A-Z challenge. After that, I turned the blog into a book blog for reviews, author interviews and guest posts, book-and-writing-related discussions, etc. 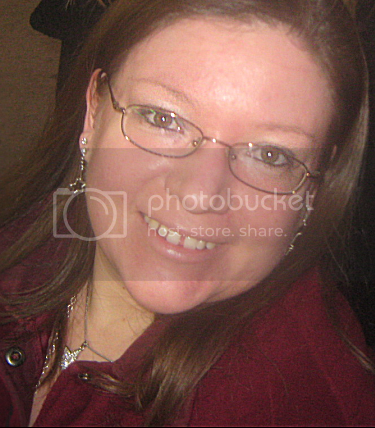 Besides being a blogger, I'm also a freelance writer and author. I've been freelance writing since 2010, writing short stories for a few online magazines, and articles for different websites. 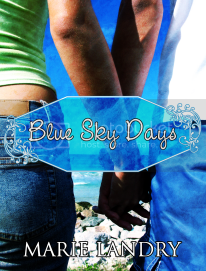 My first novel, a young adult contemporary romance and coming-of-age story called Blue Sky Days came out in January. Writing and reading are pretty much my life. I've been a bit of a hermit the last few years, but it's gotten worse since I started writing my second book in January. At the beginning of March, I also started a second 'job' - nanny to my 2-year-old nephew, Logan. My sister-in-law started this job training program where she's getting paid and childcare is paid for, so I took over baby duty 4 days a week. It's been a huge adjustment, since I worked all day every day on writing, blogging, networking, etc., but I love having Logan here, and oddly enough, the structure has been great for my productivity. I don't get as much writing done, but I've been getting a ton of other things done, and learning to manage my time better. Other than writing, reading, blogging, and family time, I love photography, travel (although I haven't had the opportunity to do much of it lately), and music (especially U2). I'm a romance junkie when it comes to books and movies. So, that’s me in a nutshell. I’m really looking forward to this month and doing the challenge. I met some fantastic people last year, and I’m hoping to make more new friends this year! Now I’d love to learn a bit about you. Feel free to tell me about yourself, give me the run-down or a few random facts. I love comments, and I’ll be sure to visit you back! Happy blogging! It's good to get to know you Marie! I'm an Englishman who lives in Kuantan, Malaysia. I'm married to a Malaysian and have two beautiful daughters. I'm an entrepreneur dealing in teaching English and loving every minute of it! I'm seriously into writing and photography, teaching and blogging. Come over and visit my site! Love to learn more about my fellow bloggers - and the authors I look up to. I'm a mom of 3, gramma of 2 (and one on the way). I work as a special education teacher at the middle school level, with students who are for the most part included into the general education program. In January of this year, I took my love of reading a step further by becoming a blogger of books! I have learned so much in the past few months - so much more than I ever could have imagined!! <3. Just, <3. I didn't realize you were looking after Logan full time! Wow, that definitely just keep you hopping, Marie. I'm glad it's helping you manage your time better, and excited at the mention of a second book! Great to get to know you all over again...look forward to your challenge posts! Hi Marie... your post hooked me... and I am in! Here we go! It will be exciting to see what everyone will talk about on a daily basis... I have no idea what I will be writing about, but it should be an adventure. Hey! I'm a freelancer and author too. Greetings from a fellow A to Z blogger! Hello, Fellow Challenger, from #424-Rockin'Chair Reflections! I'm a retired lady who is working hard to bring solar cooking to the mainstream. Just finished Book Two and looking forward to a great year. I love the Challenge because it forces me outside the box, on occasion. It's nice to meet and learn about you. I'm a new follower via the A to Z. I'll have to keep your blog in mind when my book comes out next October. Nice to meet you, Marie! Welcome to the challenge! It's nice to know a little more about you to begin the month. Hi Marie. I'm looking forward to this challenge, and intend to make my entries researchy goodness that can be used as story prompts. Hi Marie - wonderful to meet you! And congratulations on your upcoming book. I wish you much success with it. This was a great starting post for the A-Z Challenge - I look forward to seeing what comes next.